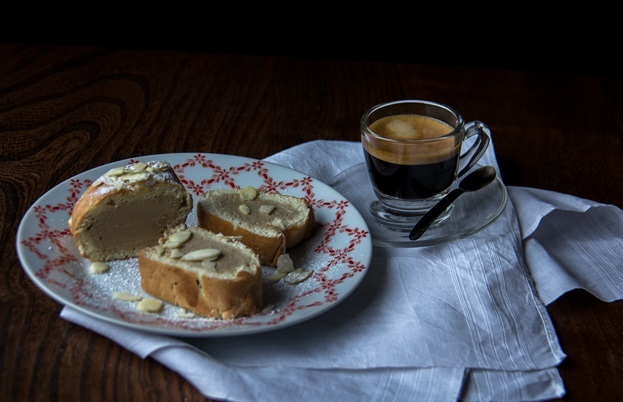 A cross between an arctic roll recipe and a frozen swiss roll, this light almond sponge cake from food-lover Rosana, encases the strong flavour of rich and creamy coffee ice cream. You could make your own ice cream at home, or use a good quality shop-bought version. I was asked to come up with a recipe using, or complementing, Häagen-Dazs' new coffee ice cream. That's a tall order, since their ice creams are already pretty tasty in their own right. I like pairing flavours and playing with textures. In this recipe, I married the simple light almond sponge scented with vanilla, with the cool, soft and prominent coffee flavour of the ice cream. 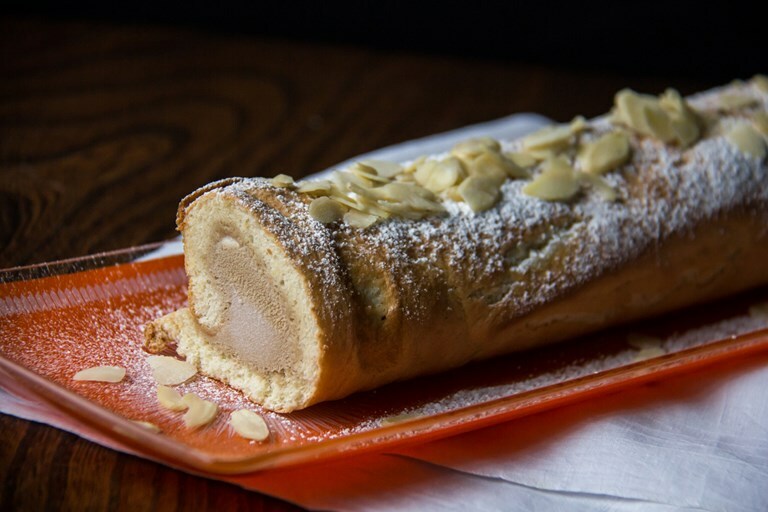 The roulade recipe was inspired by TV cook Anna Olsen, who has a great recipe for a lemon sponge roulade. Once roasted, coffee has a slightly 'nutty' flavour anda deep complexity to it. One of the most famous pairings is coffee and walnut, like a classic coffee cake. Almonds are another classic match with coffee. 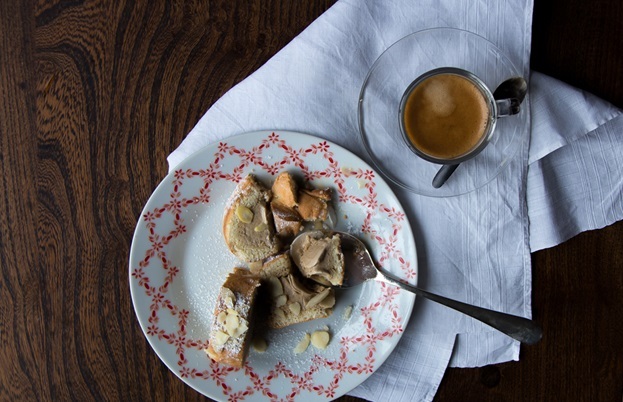 The idea to add vanilla to the recipe comes from the classic Italian affogato; vanilla ice cream topped with espresso – a coffee dessert served along with your favourite coffee. Enjoy!